When I was a young boy, I was incredibly passionate about any activity that revolved around playing with a ball. Baseball, football, basketball, just about anything. I’d throw around a tennis ball if that was all I could find. I was fond of kickball as well. One of my favorite activities was to throw pitches with a rubber baseball against the brick wall of my grandparents’ house, on their back patio. Like many other boys my age, I would pretend I was one of the great pitchers of the day, gunning for that all important strikeout. I could do that for hours, until I was drenched in sweat. I never thought of stopping. Occasionally, I would play ball with friends right in the middle of 14th Street, where I grew up, pausing only enough to let the infrequent car pass down the street. Back in the 1970’s, there wasn’t the traffic that there is now on a side street in my city. Playing in my grandparents’ yard, I injured my ankle once sliding into a imaginary home plate, gashing it on a rock that I didn’t see, requiring a trip to the hospital to get stitches. It put me out of commission for awhile after I hurt myself. But I knew I had to get back to playing ball as soon as I possibly could, bad ankle or not. Although I don’t remember it, I’m sure I was out there a week or two later, stitches and all, ready to go. As far as playing ball was concerned, I never wanted to stop. When my parents bought a house a couple of miles outside of the city, I went to a different school and made some new friends. With some of those guys, I recall afternoons spent in our yards, throwing footballs, playing impromptu games of two hand touch in the snow. The point of these examples above? I realize that back then, I was involved in more activities that I was fond of, rather than the alternative of things that you should do, which we tend to do more of when we’re adults that are all grown up. Playing ball so much when I was younger was what I refer to as a high impact activity. Maybe it doesn’t make you money, but instead moves you forward in some way while increasing your “enjoyment” factor. High impact activities for me now include cooking, reading, exercise, researching high impact people, and planning upcoming vacations for my family. High impact equals quality. Spending time with my wife and kids is the most high impact thing I can do. In the end, isn’t it all about quality? It’s important to make the distinction of things you truly have to do (such as providing for your family, taking care of your health) vs. things you want to do or should do. You need to take care of business, but don’t should on yourself, regardless of what others think (read a great article about that here). Speaking of providing for your family, you don’t necessarily have to love your job or your work. I wrote about that here. You should, however, have a fondness for the other things in your life if you don’t love your work. Take a good long look at your activities outside of your job or business. Are they high impact? Life’s really too short to consider anything else. Nowadays, although I don’t play ball as much as I used to, I try to get it in as often as possible. Having a ten year old son who loves his Little League makes it a lot easier. And it’s important that I still partake in what I loved to do as a kid. To keep yourself youthful, make it high impact . Have some balls. And have fun! Let me know in the comments section how you may be keeping things “high impact”! I’m so glad that you still love to play ball in the back yard. Your son will always have that special memory when he grows up. You are a wonderful father. 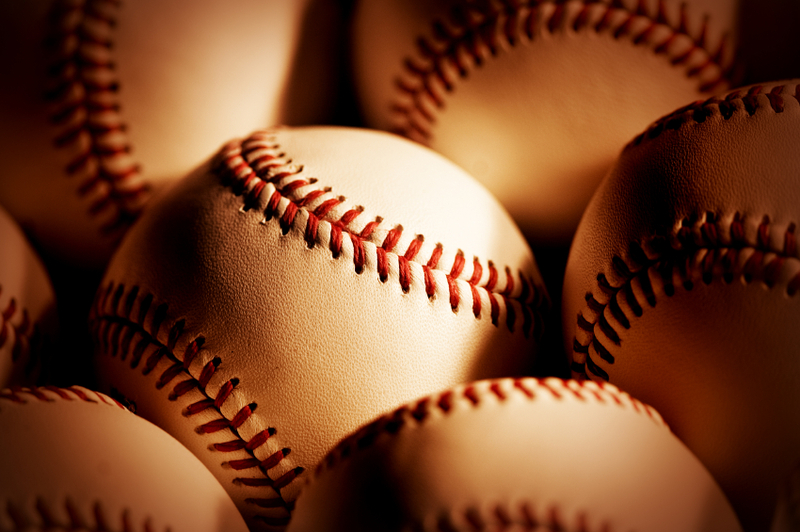 I use to play baseball, basketball, and tennis…All three rather obsessively. I can complete relate Joe. This was a fun read Joe. As a ‘ball’ fanatic myself, I can remember much of the same parts of my childhood that you can. This article made me think about maintaining our youthful exuberance toward life in general. Whether it’s family, work, or play, may we do it like the 10 year old boy with a ball in his hand. May we play hard, and smile harder. Well said, Marcus. I just finished shoveling snow (again!) with boyish exuberance. Enough already! Let’s finish up with winter so I can break those balls out of the shed and play! !